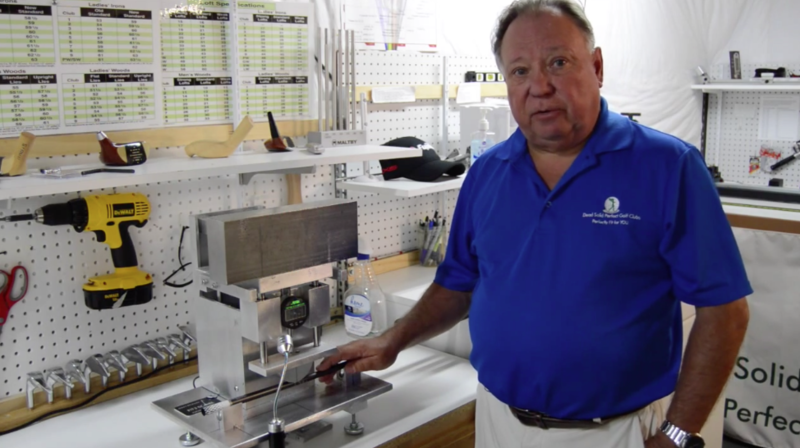 John Dranschak is one of the first several ICG members to hold both the ICG Clubmaker and ICG Clubfitter certifications. 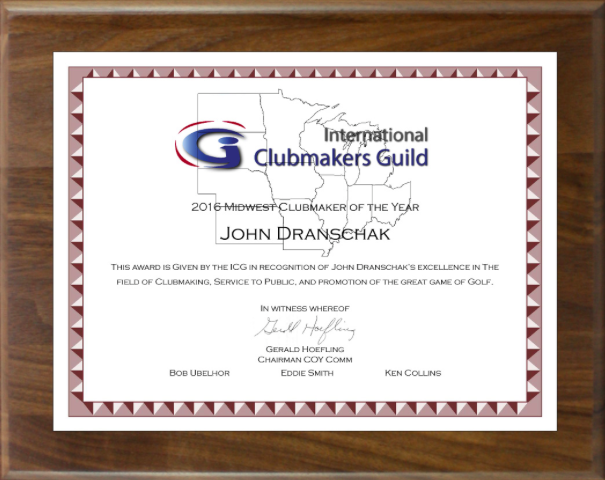 He is the ICG 2016 Midwest Clubmaker of the Year. "Over the past 10 years, golf clubs have improved dramatically due to advances in clubhead & shaft design and advanced manufacturing techniques. The choices for the average golfer are so great that the chance of finding the optimum set of clubs by trial and error is almost zero. The only way to be completely certain you are playing the right clubs is to be fit by a knowledgeable club fitter using state of the art fitting and analysis equipment. True Performance Based Fitting is now available and affordable. Dead Solid Perfect Golf Clubs now offers the ultimate in golf club fitting, using Flightscope 3D Doppler radar to measure club head flight, ball flight, clubhead path, velocity and acceleration. Coupled with high speed video to analyze your swing, the proper loft, lie, weight balance and shaft geometry for YOUR swing can be determined and a set designed to lower your scores and maximize your enjoyment of this great game." You can learn more about his business at his web site.